Liverpool are waiting to discover the extent of the back injury sustained by midfielder Naby Keita during the 1-0 Champions League defeat at Napoli. The 23-year-old summer signing had to be replaced just before the 20-minute mark in Naples, and was subsequently taken to a local hospital for checks and tests. We didn't perform and that's how football works - against a good side in the Champions League, you lose. A statement from the Reds confirmed: "Naby Keita was taken to hospital in Naples on Wednesday evening during the first half of the Champions League fixture with Napoli. "The midfielder started the game at the Stadio San Paolo, but was substituted inside the opening 20 minutes and replaced after alerting the team’s medical staff to back pain. "He was transferred to a local hospital with the club doctor, where he underwent a number of precautionary health checks to assess his condition." 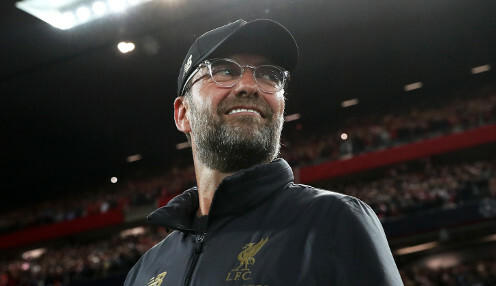 Meanwhile, Reds head coach Jurgen Klopp, who now has to prepare his players for a Sunday showdown with Premier League champions Manchester City, accepted that his side had not been at their best in Italy. He added: "It was an interesting looking group before we started and it's still interesting now. "We want to play better than we did tonight, but even if we don't play brilliantly, we want a result. Tonight we weren't as good as we could be. "We didn't perform and that's how football works - against a good side in the Champions League, you lose. That's happened and nothing more." Liverpool are priced at 7/4 to defeat the Citizens at Anfield on Sunday, with the draw available at 13/5, while the Reds are 10/1 to secure a 2-1 victory.